If you’ve been keeping up with digital marketing trends, then account-based marketing is most definitely on your radar. In fact, you’ve probably heard about it so often that it may have started to feel like just another buzzword. 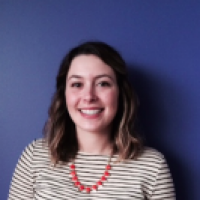 But account-based marketing is not to be ignored and it’s not just another buzzword. Buzzwords become dated terms as time passes, but it’s just the tip of the iceberg for ABM as more B2B marketers than ever are realizing its significant impact and value. Why Is Account-Based Marketing Gaining Traction? At its core, account-based marketing (ABM) is a targeted strategy that focuses on delivering personalized programs, messages, and content to select companies, and the leads within them, in an effort to engage them and move them towards a goal—whether that’s an initial sale, cross-sell or upsell, contract renewal, or even advocacy. While it’s not a new concept, ABM is experiencing a resurgence and gaining momentum because of recent technology innovations that allow organizations of all sizes to practice ABM in a scalable and automated way. As Matt Heinz, a notable industry influencer, put it “ABM isn’t about company size. If there is more than one person in the organization you need to influence to get the deal, ABM applies.” And with ABM solutions that are either native to a platform or complementary, marketers can plan, manage, and measure their campaigns and collaborate with other cross-functional teams more effectively. Is ABM Right for Your Organization? Does your sales cycle involve a research/evaluation phase due to the cost or level of commitment required from the buyer and often involve multiple stakeholders? Do your sales and marketing teams want to make a bigger impact with a more strategic focus? Do your best-existing customers who generate the most revenue for your business have distinct characteristics OR have you identified accounts with distinct characteristics that have the potential to generate more revenue? Are there organizations with needs that your solution clearly addresses? Do your organization’s goals include expanding into a new segment, territory, or vertical, or going after your competitor’s customers? Does your organization offer several products or services and have goals to grow customer lifetime value through upsell and cross-sell? If you answered yes to any of the above, then an ABM strategy will benefit your organization. How you choose to practice ABM will depend on your objectives and bandwidth. Some organizations are in in the early stages of the ABM maturity curve, exploring whether ABM is right for them, while others are more seasoned experts, looking for ways to fine-tune their strategy. Regardless of your stage, the key to success is to continuously learn, iterate and optimize your strategy. Increases return on investment (ROI): Compared to other B2B marketing strategy or tactic, ABM delivers the highest return on investment, according to the 2014 ITSMA Account-Based Marketing Survey. Because ABM focuses your organization’s efforts on generating pipeline and growing revenue within strategically significant companies—those with a high propensity to purchase from, stay with, and buy more from you—it results in bigger deal sizes, more recurring revenue, and large lifetime values. Improves efficiency: Rather than having a low conversion rate from new names to qualified leads as you would with broad-based marketing strategies, you’ll start with a pool of accounts that are already more likely to convert, fill the white space of contacts in those accounts that matter, and then give them personalized, focused attention. By strategically targeting your efforts, you minimize the expenditure of resources on less important buyers or segments of the market—often significantly reducing waste. Improves engagement: Prospects and customers are more likely to engage with content that is specifically for them and is relevant to their business and stage in the buyer journey. In fact, according to Aberdeen Group, 75% of customers say they prefer personalized offers. And because ABM is inherently personal, your campaigns are already optimized to engage your target audience with the right content. Attributes revenue: With an ABM strategy and the right technology to support it, you can show the impact each activity has on driving a sale or other objective. Because of the tight alignment required between sales and marketing, each team is able to see an account-centric view of their revenue attribution and understand which channels, channels, and messages drove engagement and made an impact. Increases sales and marketing alignment: Account-based marketing requires both marketing and sales to work together toward the strategic goal of landing and expanding target accounts. This collaboration holds each team accountable for working towards the same goal. Marketing is just as invested in targeting, engaging, and penetrating target accounts as sales, and they work in tandem to do so—planning, agreeing on definitions and processes, coordinating outreach, and sharing feedback. Improves the customer experience: With new technologies that support account-based marketing at scale, marketers can focus on continuing to build relationships with their customers after the sale to support different objectives. In fact, according to Alterra Group, 84% said ABM provided significant benefits to retaining and expanding existing client relationships. This is critical when you consider that marketers are shifting their focus toward a customer-centric agenda. 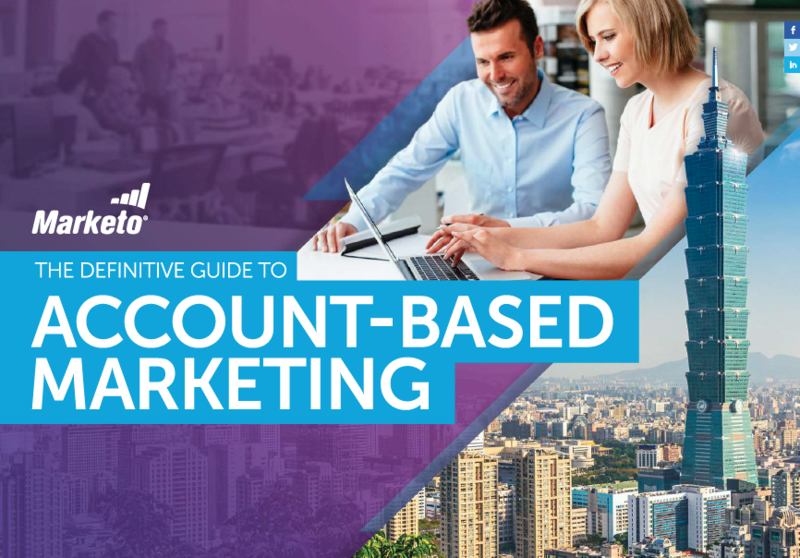 Learn how to reap the benefits of account-based marketing by downloading The Definitive Guide to Account-Based Marketing. This comprehensive 100+ page guide covers everything from obtaining organizational buy-in to account identification, content creation, multi-channel engagement, and measurement. It also provides guidance on how to choose the right ABM solution and comes with a tactical playbook for use cases across the customer lifecycle. Download today!